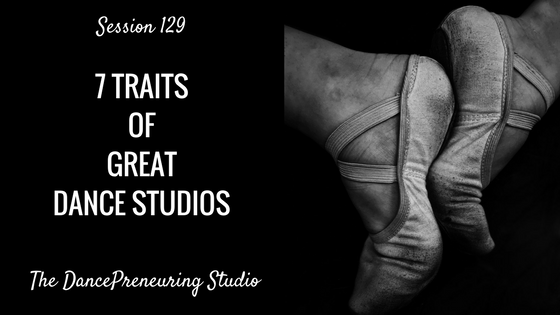 Great dance studios are purposeful in everything that they do. It’s not only about the dance instruction, but the entire student experience. Step to Success: A step to your success is anything that moves your life and your business forward. Whether it’s an app, a book or an idea, you can apply something today that can help you succeed. Today’s step to success is asking yourself how you feel after doing self-care. Do you feel like you did something to nurture your soul, or did you do something just to cross it off your to-do list? Dancer’s Dialect: The Dancer’s Dialect is the dancer’s language. I share dance terminology and concepts across different genres so you can see the correlations in your life and in your business. Today’s word is the Gaga Method. I highly recommend you watch the documentary on this. Freestyle Flow: I appreciate a good dance warm-up. Great dance studios make parking as accessible as possible. If you can’t order cipro no rx control this, at least give people updated information and options. Great dance studios train their frontline customer service people so students have a great experience from the moment they walk into the studio. Great dance studios train their teachers to be punctual and professional. Great dance studios provide clear descriptions of their classes. Great dance studios pay attention to the needs of their students. Great dance studios utilize a paid platform for their web presence. Great dance studios follow up consistently with their students.